Once again the fabulous TARA has discovered a fragrance that we can share with those we love…hmmmm. Passion Boisée is a tribute to a material which may not be glamorous but is an essential part of Frapin’s cognac making process – wood. After distillation, the brandy is aged in oak casks for several years. During this time the wood from the barrels lends its properties of tannin and vanillin to the liquor, creating its distinctive flavour. 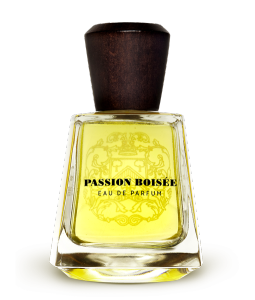 Released in 2007, Passion Boisée is described as a citrus chypre aimed at men. The perfumer is Jeanne-Marie Faugier who has done a number of fragrances for Frapin including Caravelle Epicée. Top notes are tangerine, nutmeg, rum and clove; middle notes are oakmoss and oak; base notes are patchouli, leather and cedar.